Many skins are even functional: they can record your notes and to-do lists, launch your favorite applications, control your media player - all in a clean, unobtrusive interface that you can rearrange and customize to your liking. This rainmeter skin created by minhtrimatrix. To install this skin you need to install rainmeter first if you havent install it. 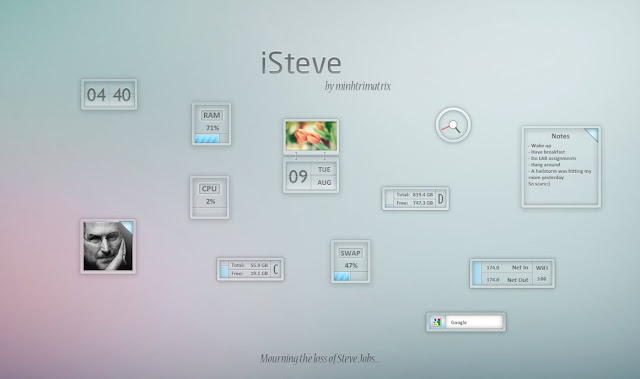 Then run iSteve.rmskin to install.